You need to specify the project or program that you want to run or debug for this run configuration. In the Name box, type a descriptive name for this new a descriptive name for this launch configuration. In the Project box, type the name of the project containing the application that you want to run. In the C/C++ Application box, type the name of the executable that you want to run. 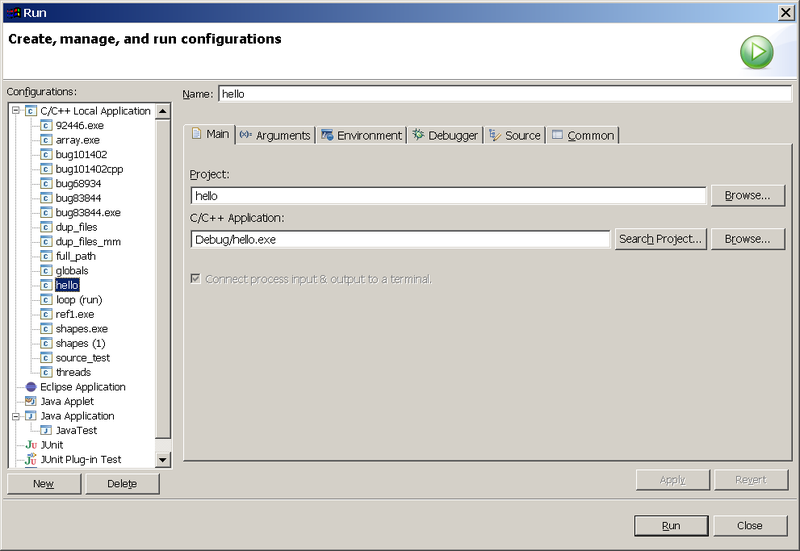 To specify the execution arguments that an application uses, and to specify the working directory for a run configuration, see Specifying execution arguments.